Because the traditional asphalt shingle roof is ubiquitous throughout Arizona as it is elsewhere in America, many homeowners come to RENCO Roofing looking for an effective but tasteful alternative. They often find it in the architectural shingle roofs we install. If you’re currently weighing your options for a roof replacement or new roofing installation, here are the factors you’ll need to consider. Materially speaking, three-dimensional shingles (another name for architectural shingles) are similar to asphalt shingles. Their construction, however, is different. Three-tab shingles use a single, uniform layer of material that gives them their characteristic look and slim profile. Architectural shingles use a heavyweight fiberglass base layer topped by further layers of minerals and ceramics encased in asphalt. Rather than the single layer, multiple layers may be sandwiched or overlapped, giving a variety of appearances and textures. That layered manufacturing process is what gives these shingles their depth and character. It also allows these shingles to mimic a variety of other roofing styles. 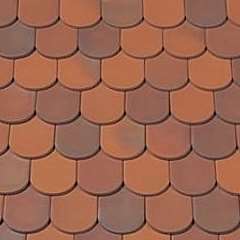 You can, for instance, get three-dimensional shingles that look similar to a slate roof, cedar shakes, or even tile, while sidestepping the issues that come with each of those options. As useful and durable as they are, 3-dimensional shingles do have some drawbacks. The layering process does lead to more material used, which results in a cost that’s about 20% higher on average. There’s also the issue of weight, since these shingles are about 50% heavier than their traditional counterparts. If you’re re-roofing over an existing three-tab shingle roof, extra care should be taken to ensure that the frame and roof deck are capable of handling the extra weight. The added thickness means shingles that are less prone to warping and weather damage. The additional weight is offset by architectural shingles’ superior insulating properties. The added cost, in turn, is offset by greater durability; many three-tab roofs will be warranted for about 20 years, whereas three-dimensional shingle roofs tend to be warranted for 25 to 30 years, though there are also premium options warranted for fifty years that could well outlast the homeowner. Are Architectural Shingles Right for Me? As with any other home renovation or business roofing project, a new roof brings with it a host of considerations: esthetics, durability, structural concerns, and — of course — cost. Many RENCO Roofing clients find that when they weigh the long-term benefits against the short-term cost of architectural shingles, they are in fact extremely cost-effective. Since each client, and each project, differs, we suggest scheduling a free roofing quote. We may find that a simple roofing repair makes more sense than a roof replacement, or we may advise an alternative to architectural shingles depending on your aims and your budget. To see how we can help you, call us at 602-867-9386 today.